A routine vision examination in our practice requires a total of approximately 45 minutes. This period of time is needed to perform all the tests necessary to thoroughly assess your eyes and visual efficiency. During your eye examination a health history will be taken. It is important for you to provide all information, regardless of how insignificant you might think it is. Other appropriate areas for each individual. Don’t worry about making a mistake or giving the wrong answer. There are no right or wrong answers! Don’t worry about your answers contradicting one another. Don’t hesitate to say so if you are unable to answer some of the questions. Don’t be alarmed if, for a few minutes during the examination, you find your vision getting worse instead of better. At In2Eyes we offer the experience and benefits of the latest technology in eye examinations, Digital Retinal Photography (DRP) and Optomap Ultra-Wide Digital Retinal Imaging. 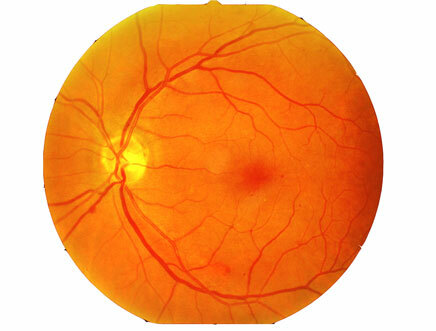 This advanced technology produces a detailed photographic image of your retina. Any eye examination should always screen for abnormalities or disease including a careful look at the retina, its blood supply, and the optic nerve. The retina and the optic nerve are located at the back of the eye and connect the eye to the brain. They are susceptible to a variety of diseases including macular degeneration and glaucoma which can ultimately lead to partial loss of vision or even complete blindness. Early detection of any retinal abnormality is crucial, and this is usually done by dilating the pupils and recording the information gathered on your patient record. The increased information that can be gathered and stored by this new technology enables us to detect subtle changes earlier and diagnose disease sooner. It can help with the early detection of high blood pressure, diabetes, tumours in the eyes and even brain tumours. With this simple, quick and patient friendly new examination we have the information we need to prevent or reduce your vision loss. 75% of vision loss and blindness is treatable or preventable, so looking after your eyes now will help you maintain your sight in the future. The optomap® Ultra-Wide Digital Retinal Imaging System captures an ultra-widefield view of the retina in a fraction of a second. The 200 degree internal scan enhances clinical care, patient satisfaction and practice efficiency. It is performed quickly and easily enabling your In2Eyes optometrist to spend more time analysing, diagnosing and educating rather than gathering information. The optomap® also provides a permanent image to store your medical record, which assists us in tracking subtle changes in the retina over time. Regular eye tests are perhaps never more important than in childhood. A child is faced with challenging visual stimuli every day, from the classroom to the playground. Often, children’s eye problems are also not identified when they should be as the child may not realise their vision is deteriorating. If you have been looking for children’s eye tests in Melbourne to monitor your child’s eye health, In2Eyes is the clinic you can count on. Offering approachable and fun eye checks at our Surrey Hills clinic, children can receive the care they need for a vibrant life. 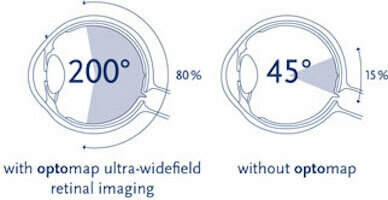 At In2Eyes we can also offer many advanced services in eye care. You can find more information about these on our website or call to discuss your needs with us. Call today and make an appointment! In2Eyes has been in business for over 10 years and Jason Teh has been practicing Optometry for 12 years.